The Scottish processors have held their prices again this week, in the region of 402p/kg. However English factories have reduced their price by a further 2p to return around 370p/kg. It appears that shortage of supply is the only factor holding the price where it is as sales over the counter are slow. Now we are in late August lets hope for some more lovely summer weather to keep the barbeques going as this traditionally stimulates demand. 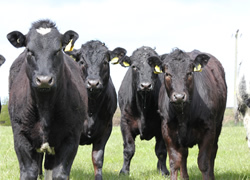 Aberdeen Angus cattle continue to attract a healthy premium of around 40p/kg and are in big demand at this time. Cull cows, especially lean export cows are meeting keen competition from processors, so if you are thinking of selling please give the office a call on 01750 723366. New Season Lamb prices are on the slippery slope, lack of consumer demand and currency issues are still the main problems. 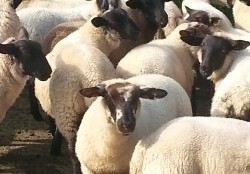 It is vital for farmers draw as many lambs in spec as possible. This is so important to the processors when trying to sell lamb in a weak market in. This week we have had the first lambs clipped for the season. We cannot stress enough the importance of getting lambs off grass 6 hours prior to uplift, if it has to be an early lift please ensure the lambs are housed the night before. As always our objective is to obtain the maximum amount for your stock by presenting lambs clean and dry at the abattoir. If you require any advice on any marketing issues please contact your local fieldsman or the office where will be pleased to help and advise. 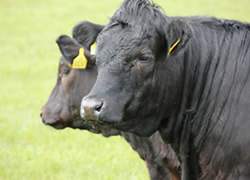 Both of the front line Organic red meat products are still in demand. Beef continues to trade at 530p/kg and with New Season Lamb, priced in the region of 430p/kg, we are confident that the demand for Organic produce is here to stay for the foreseeable future. We are planning a kill of Organic OTM cattle in the near future so if you wish to sell, please give us a call as prices are at an all time high. It is pleasing for us to report that the majority of Organic store cattle we are marketing at this time are being retained within the Organic sector. Undoubtedly this is because of the high price on offer for prime beef, but never the less this is in marked contrast to this time last year.